The first roses of the spring season are bursting into bloom at Gracewood Farm. Always one of our early spring rose bloomers is the delightful Carefree Beauty, on the left. 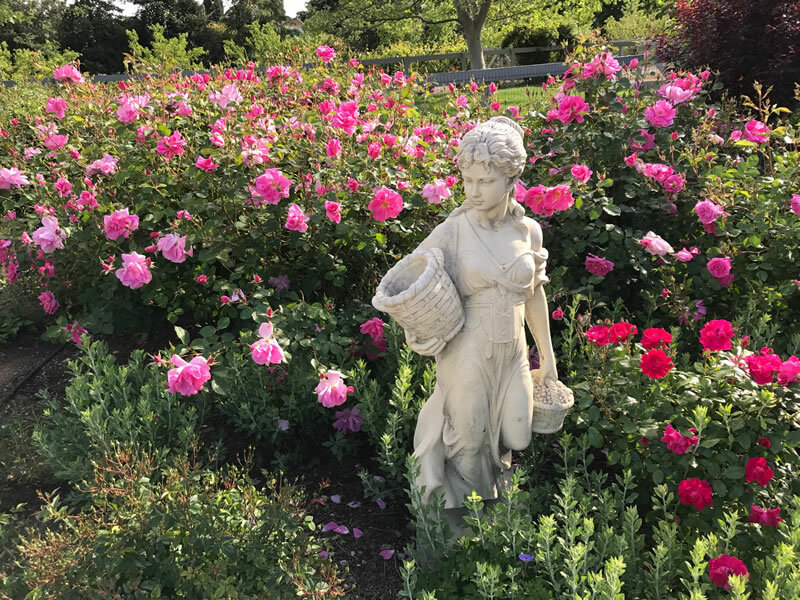 The antique floribunda rose, Lafayette, can be seen in the lower right hand corner of the photo. Carefree Beauty was introduced by Dr. Griffith Buck, form Iowa State University in 1977. Dr. Buck hybridized many roses in his long and illustrious career, but to me, Carefree Beauty is his best and most floriferous. Always disease free in my California garden, Carefree Beauty is also known to endure the long, cold winters of the Midwest and East USA. You’ll sometimes see this rose called Katy Road Pink, another name it goes by. It is exceptionally beautiful when massed in groups of 5 or more plants. My Carefree Beauty planting is of 5 bushes that were planted at Gracewood Farm 15 years ago. My Carefree Beauty roses were purchased from a mail order rose company in Texas, Chamblees www.chambleeroses.com. I always prefer to purchase roses that are grown on their own roots vs grafted roses. This avoids having to deal with rootstock growth issues and overall, I believe, that own root roses are healthier. More about own root roses in a later post, I promise.